How will VR and AR impact our lives in the future? Welcome to the new age of the ‘ABBAtar’. 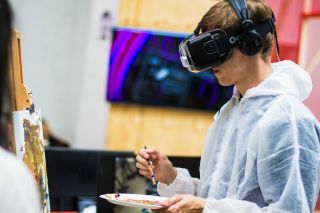 As work changes over the next decade due to automation and new technologies such as AR and VR, HR departments will find themselves filling a starkly different set of jobs. The influence of technology will mean that some of these are highly technical, although others will require far less in-depth, specialist knowledge. While some may insist that one day all jobs will be technology jobs, our new research, ‘21 jobs of the future, a guide to getting and staying employed over the next 10 years’, paints a different picture. It does however, outline a selection of roles that will move into the mainstream, both based on and augmented by digital, in the next ten to 15 years. For example, much as composers, bricklayers and playwrights were in demand a century ago, AR journey builders will be their 21st century successors – equal parts ‘experience conductors’, ‘data overlayers’ and ‘CX/UXwrights’. They will help design, write, create, calibrate, gamify, build and – most importantly – personalise the next generation of amazing stories for augmented reality experiences, alongside the likes of talented engineering leads and technical artists. We will also see the rise of personal memory curators, whose job will be to remake and architect past experiences to reduce the stress or anxiety that simple memory loss creates in the elderly. They will consult with patients and stakeholders to create VR experiences, built on realistic images, sounds and other sensations, to bring a particular time, place or event to life. As Björn, Benny, Agnetha and Anni-Frid prepare to take to the stage in ‘ABBAtar’ form, it is a sign of the times that we all need to prepare ourselves – and our journeys for both work and play -- for when these technologies truly take hold.